Cupcake Mumma: My Sunday Photo ~ Giant Jaffa Cake! My Sunday Photo ~ Giant Jaffa Cake! I had lunch with my Mum and Aunt at The Organic Coffee Shop. Managed to bring home this delicious giant Jaffa cake that is both vegan and wheat free. 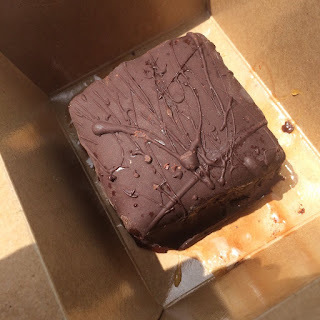 I myself bought a salted caramel cake which was free from everything: perfect! 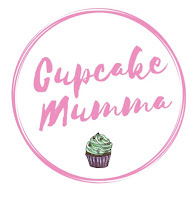 I would ask if you wanted to have some but this cupcake mumma doesn't share cake! It looks delicious! Although I'm sure I'm the most annoying person in the world and I can't actually have It?! This looks delicious! Hope you enjoyed! Hi Hannah, I did laugh at the fact that you 'managed to bring a piece home'. I'm not sure a piece would have survived the journey home in a car with me! That looks delicious! Amazing that it's free from and vegan too. That looks so yummy, any to share? My new way of enjoying cake now I'm doing slimming world is to perv over other peoples creations lol! This looks so yummy! Bet it was delicious!